At Barcelos, we offer a perfect yet eventful dining experience to one and all. A place that serves your entire family, meeting everyone’s demands. The legend of Barcelos is as important as the recipe used for Barcelos Chicken. Mastered by the Portuguese themselves, a recipe that not only tantalizes taste buds but also takes you to a world of satisfaction. The right amount of spice with the sauces that just elevates your experience to another level. The beautiful combination of the authentic recipe on the chicken is truly a work of art. 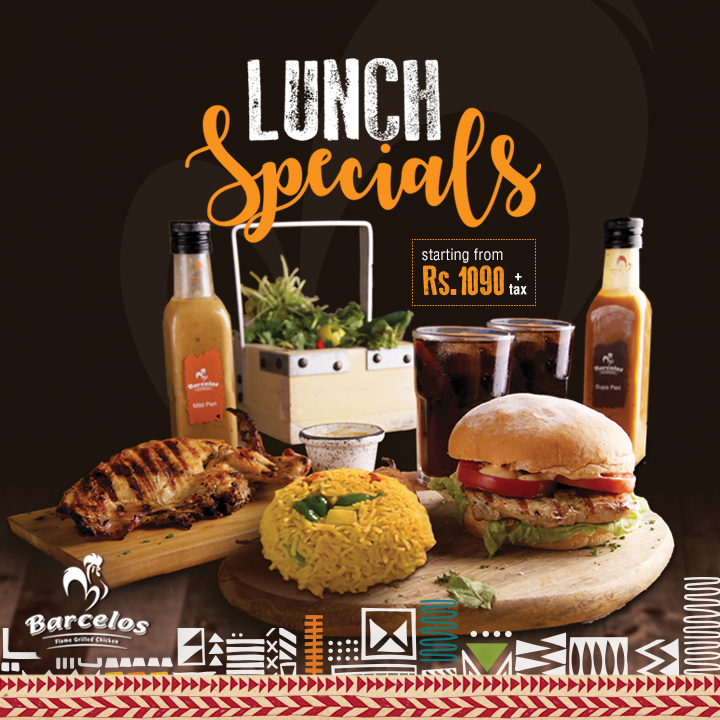 Starting from a single location in Pretoria, South Africa over 20 years ago, Barcelos has grown to over 130+ locations in 16 countries serving over 2 million happy faces throughout Africa and around the globe including Canada, the UK, Singapore, Mauritius, UAE, Oman and now Pakistan. Authentic Portuguese Flame Grilled Chicken is our star product but with the growing demand for fast food, Barcelos Pakistan offers a wide range of products. Ranging from burgers, fresh salads, refreshing drinks and mouthwatering desserts, Barcelos offers it all. 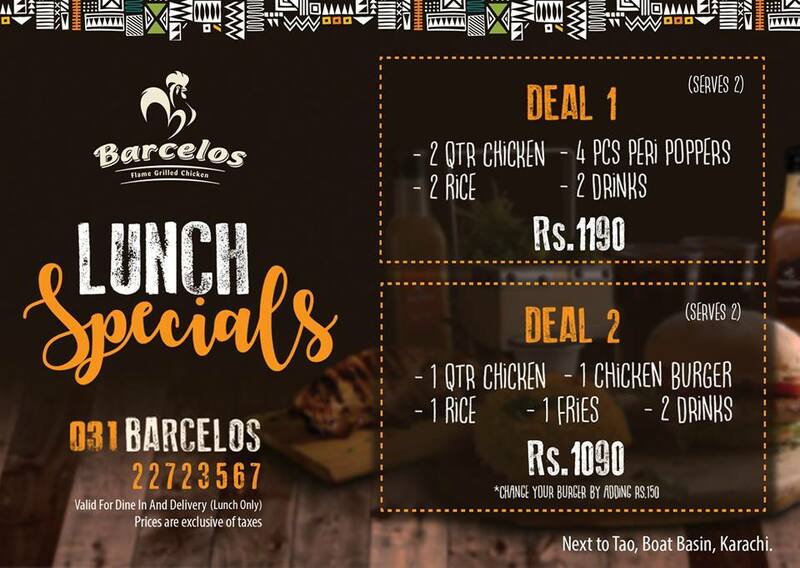 Serving with such variety, Barcelos vows to cater to everyone’s needs. 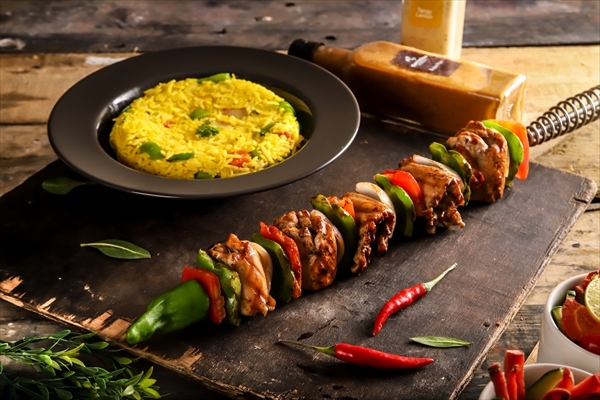 • Espetada – Super sized portion of flame grilled chicken thighs with bell peppers, onions and tomatoes served on a giant skewer. Lunch Specials: We have lunch deals each of which serves two. These come with two Chicken Entrees, a Starter, 1 Side and 2 Regular Drinks. Deals starting from Rs. 1,090. Preset Menus: Can be arranged for parties, gatherings, meetings and business get-togethers. Catering: Yes. We have catered to celebrities and high profile guests at their homes and private premises for parties of 100-150. Please inquire within for your own special event. Reservations: In case of large gatherings, please reserve your space by calling in advance. Children Policy: Children are welcome. Special kids menu available as well as kids giveaways. What to Expect: Exceptional quality and value in a relaxed and casual dining experience.